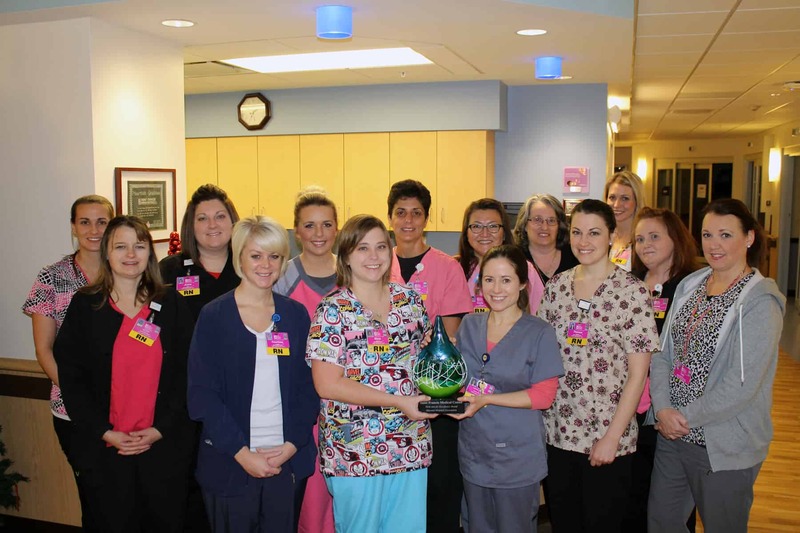 Saint Francis Medical Center was honored with the Aim for Excellence Award during the Missouri Hospital Association’s 94th Annual Convention & Trade Show in Osage Beach, Mo., on November 3. Saint Francis won in the small and large metropolitan statistical area hospitals category with a quality improvement initiative to reduce necrotizing enterocolitis (NEC) rates by 50 percent in the Level III Neonatal Intensive Care Unit (NICU). Saint Francis’ initial quality improvement plan was in place for two years, January 2014 to December 2015. The team reviewed feeding practices, analyzed variation, conducted an extensive review of scientific literature and surveyed nearby academic NICUs. The new care strategy included standardized feeding advancement protocol grouped by gestational age and weight; guidance for additional feeding protocol considerations; a necrotizing enterocolitis quality improvement bundle; algorithms to assist in the evaluation of feeding intolerance; and response and weaning protocol for donor milk. During the first year of implementation, the system exceeded the goal as NEC rates dropped by 64 percent. During the second year of implementation, Saint Francis celebrated zero NEC rates. Three Missouri hospital organizations received the award for delivery of improved population health, patient outcomes and experience, and value of care. This is the first year of the award which recognizes progress toward the Triple Aim — better health, improved care and lower cost. In its inaugural year, 22 applications were submitted for judging. Judges included external Missouri funding, academic and health-related partners. Based on overall aggregate scores, three member organizations were identified as category winners, and three organizations were chosen for honorable mention.